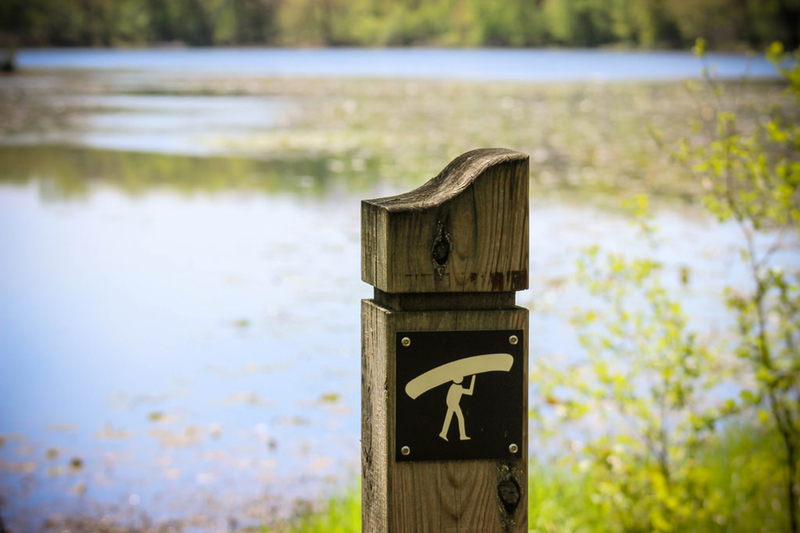 If you want to do some portaging, but don’t have the time to drive five hours north to the BWCA, then head on over to Lebanon Hill’s Regional Park for its 2.5-mile canoeing route. When the Northern Woods are so far away from Minneapolis, locals get antsy having to stay in the city. Well, an urban jungle may surround Lebanon Hill Regional Park, but inside the park’s boundaries are over 13 miles of hiking trails and a 2.5-mile canoe route. 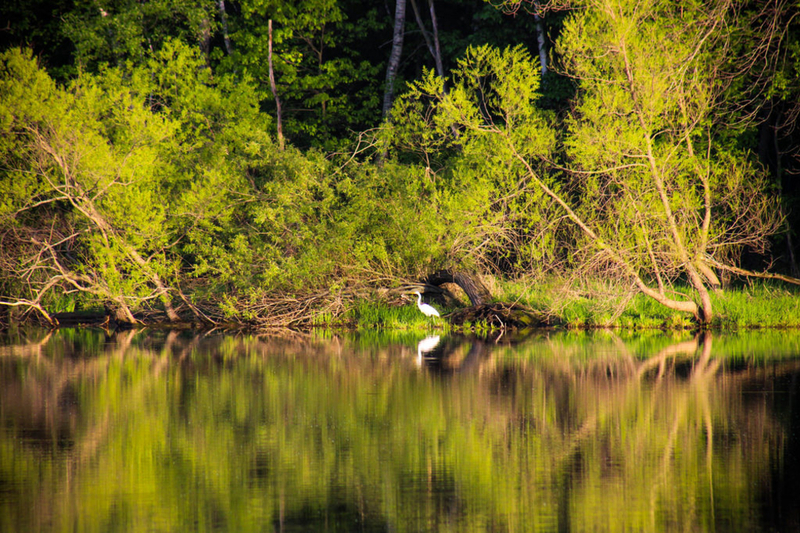 Offering its visitors quiet lakes and oodles of wildlife, it is easy to forget that you are only 35 minutes outside of Minneapolis. Starting from the visitor center, for a short warm up paddle, practice your paddling strokes on Schulze Lake. Southwest from the dock, there is an opening in the trees, which is the first portage. 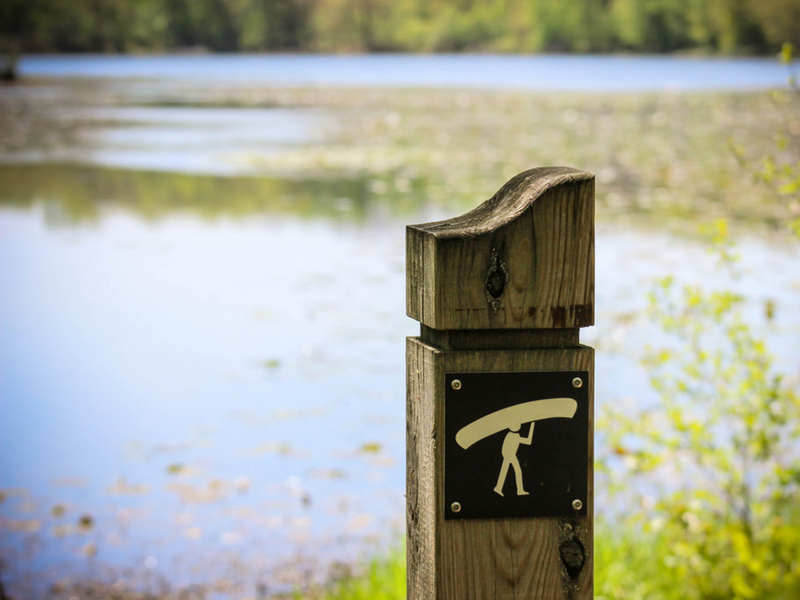 On a weekend, Schulze Lake can be a little loud, so if you want a more peaceful paddling trip, head on to the quarter mile portage leading to Portage Lake. The longest portage in the whole canoe route, this trail is mostly level, but offers a rolling incline. 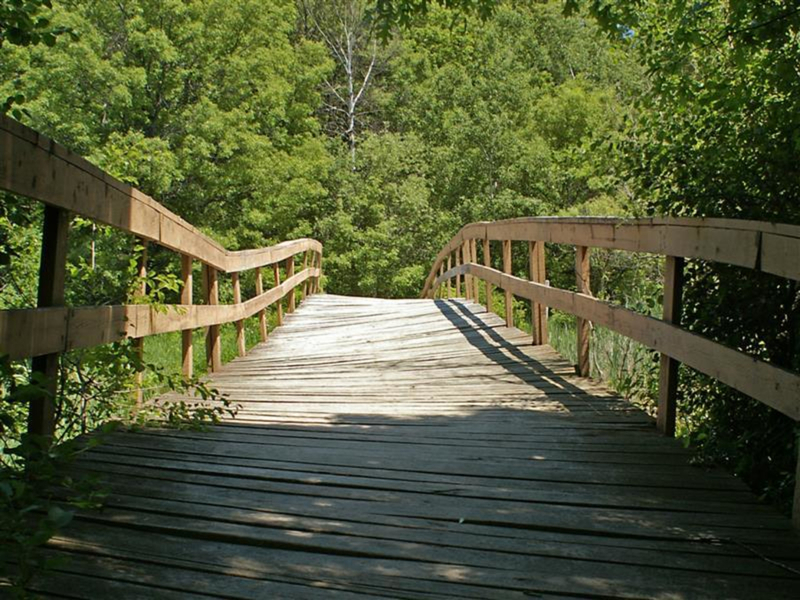 It also crosses a horseback-riding trail, so walk quietly and try not to spook passing horses. Portage Lake is in the center of the park and provides a peaceful setting. 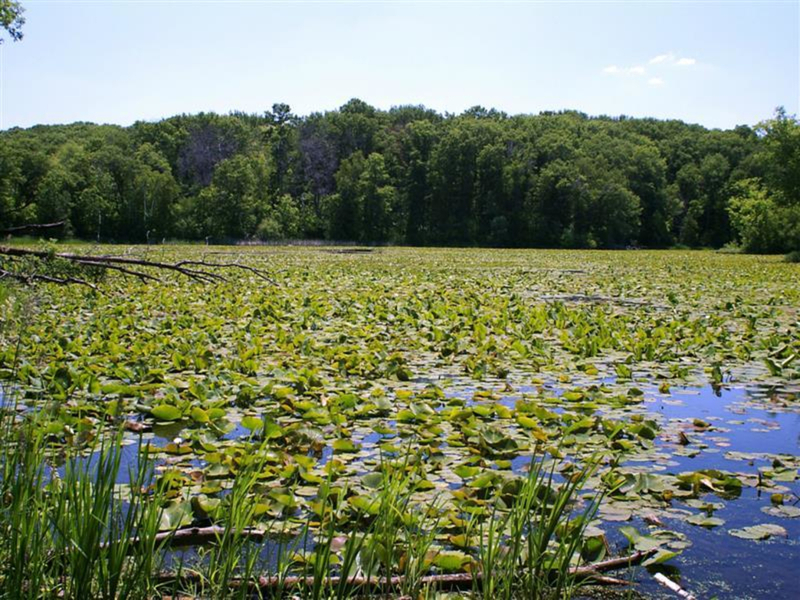 The shore is lined with maples and aspen, while lily pads welcome you at both portages. Paddle slowly through this section and appreciate the natural beauty surrounding you. Look up to the skies to catch glimpses of soaring ospreys, which seek refuge in Lebanon Hills Regional Park. As you continue onto your next portage, you pass a patchwork of meadows and young oak stands. There are islands of hardwood forest strewn about the hilly terrain found in the park. Mostly, the portages avoid the hills, but expect at least a few steeper climbs while exploring the canoe route. O’Brien Lake is the second largest lake in the park and offers paddlers the option to end their boat trip early. 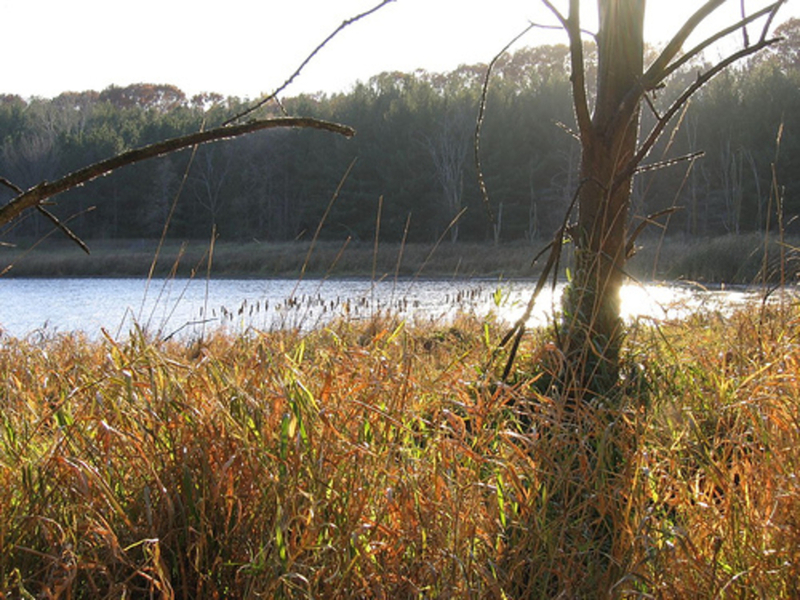 After a quarter of a mile, you can see a portage opening to the west or can loop to the north and return back to Portage Lake via Cattail Lake. Continuing west, the canoe route veers south and takes you to Lebanon Hills’ park boundary. There are 4 smaller ponds, all of which are connected by small water channels or very short portages. Soon enough, the trail curves north and connects with the largest lake in the park, Jensen Lake. The canoe route technically goes all the way to Jensen’s west bank, but don’t feel pressured to go all the way. There are multiple places on the east side to rest, rehydrate, and eat your packed lunch. From here, the park is your oyster, and you can make your own route all the way back to Schulze Lake. 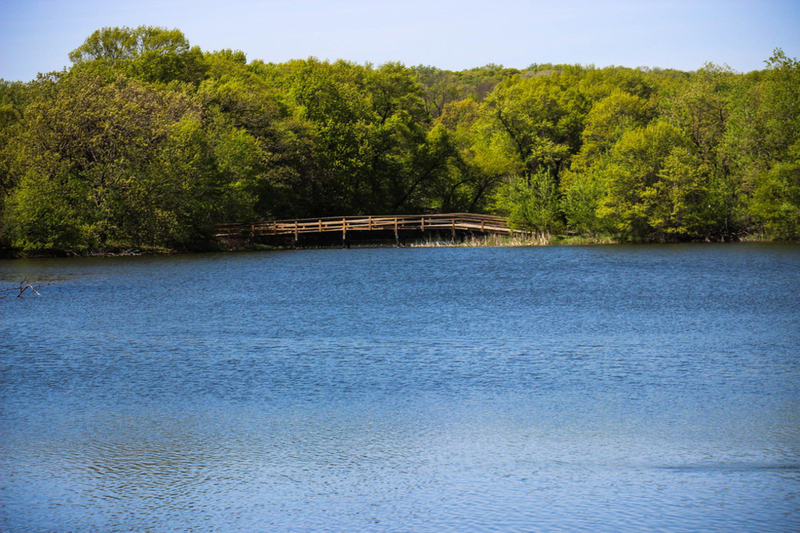 Lebanon Hills Regional Park is perfect for people looking to work on their paddling muscles and enjoy a beautiful day portaging through a scenic park. 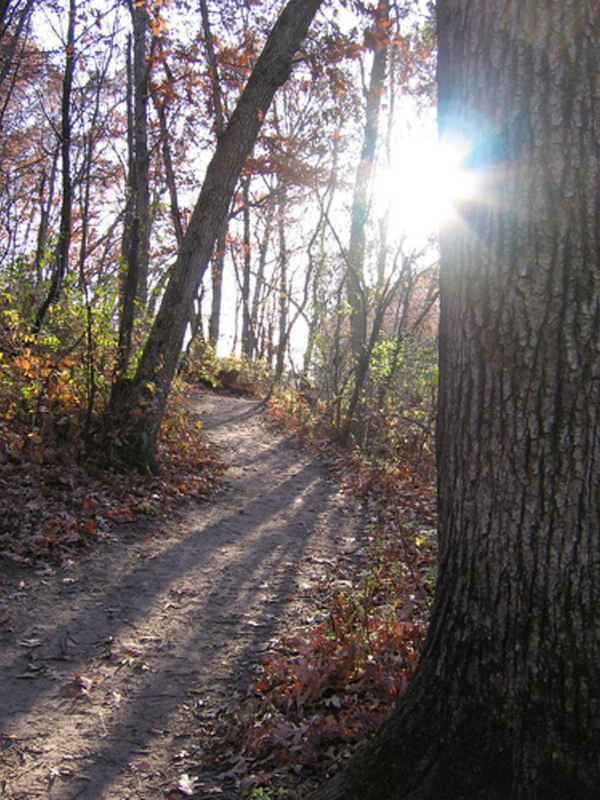 Lebanon Hills Regional Park is open daily from 5 a.m. to 10p.m. and provides two parking lots at the Visitor Center and at Jensen Lake Trailhead. There are no parking fees. Within Lebanon Hills, there are 9 small lakes that are all connected by well-travelled portaging trails. Though the park has had these trails for years, it has only gained praise in the last decade. Nowadays, Boy Scout troops use these trails as practice for their trips up north and school-led field-trips canoe the lakes to teach children how to appreciate Minnesota’s bountiful nature. The Twin Cities are very fortunate to have such a nice canoeing route so close to the city. If you don’t own a watercraft, canoes and kayaks are available for rent from the visitor center. If you don’t feel comfortable portaging on your own, they also offer portage carts. These are a must-have if you are solo kayaking.